As someone who frequents an OCA group, I have found it a very positive experience. I take my OCD thoughts to them. Outside of this group few people understand what OCD is (my wife does for the most part). Most associate OCD with the compulsive aspect, like the desire to keep things clean or to wash one’s hands, pray a lot, etc… Most people do not get the obsessive part that causes the compulsion. I try to tell people that it is more like a phobia and the compulsion is a type of avoidance. Phobias seem to illustrate the fear aspect that OCD sufferers have. While this analogy doesn’t explain OCD completely I think it is pretty helpful. So someone suffering from a Pure-O, could say they have a phobia of certain themed thoughts that cause them distress. I have found that people who don’t have it do not understand it fully. Many therapists who treat anxiety disorders do not understand OCD (an unfortunate reality when one begins searching for treatment), so it might be asking too much of the average Jane/Joe as well. 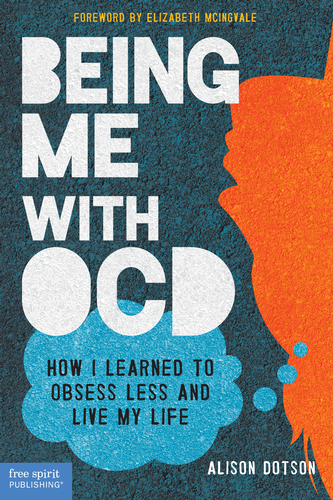 What’s interesting about OCD is that it seems to involve a particular circuit in the brain. Studies in animals have shown that the grooming ritual if started, must be completed. So the biological response is there and can be induced. For some reason, it strikes me as a possible way for someone who has no experience with OCD to understand the science part of it at least. We as humans may have many of these subroutines. It wouldn’t be much of a stretch to understand that the brain is then co-opted by anxiety. The psychological/emotional pain is definitely what sets OCD apart from quirks, tendencies and preferences.